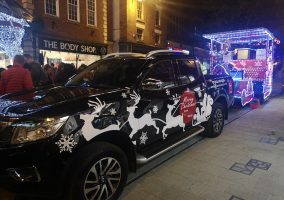 NISSAN’S award-winning Navara is taking a trans-Atlantic trip to the spiritual home of the pickup truck later this month. There it will do battle in a gruelling off-road event that will push its ‘tough and smart’ credentials to the limit. The rugged Navara – current holder of the prestigious International Pickup Award – is taking part in the Rebelle Rally. An annual week-long stage-race, it’s a 2,000 km test of driving and navigation skill through the stunning deserts of California and Nevada, USA. Designed for production vehicles rather than rally-prepared racers, the event is open to women-only teams of two and attracts competitors from across the globe. It incorporates long-distance off-road driving and traditional navigation, using only topographic maps and a compass, to find hidden checkpoints. GPS devices including smartphones are strictly forbidden, and time limits force competitors to make swift decisions. The Rebelle Rally runs from October 12-21, and each day’s route remains secret until a few hours before the start. Now in its second year, 40 teams representing 12 countries are taking part, using vehicles from a variety of manufacturers. Taking part in the Navara are two employees from Nissan France; Karen Rayrolles and Florence Pham work in the Communications and Marketing teams respectively, and are looking forward to a unique challenge. Karen and Florence are using a Navara Double Cab model and competing for the Bone Stock Award. This category is open to teams using standard vehicles where the only modification is a set of off-road tyres. The Double Cab will be perfectly at home on the sand dunes and dirt tracks of the desert. The epitome of tough and smart, this Navara blends go-anywhere ability with the latest driver assistance technologies. The result is a level of refinement, style, comfort and quality that’s on a par with Nissan’s acclaimed family of crossovers – the Juke, Qashqai and X-Trail. The Navara Double Cab’s five-link rear suspension is unique in its segment, and delivers an exceptional driving experience without compromising off-road or payload capability. Power comes from a refined 2.3-litre 190 PS twin-turbo diesel engine, which delivers outstanding performance and torque of up to 450 Nm at 1,500-2,500 rpm. When linked to a six-speed manual transmission, official Combined Cycle fuel economy and CO2 emissions figures are 6.3 l/100km and 167 g/km – a best-in-class performance. The vehicle’s list of equipment will definitely come in useful during the Rebelle Rally. Intelligent Around View Monitor assists with safe low-speed manoeuvres in tight spots, while Intelligent Emergency Braking will help should other competitors unexpectedly cross the Navara’s path. 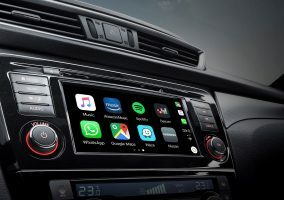 Hill Start Assist and Hill Decent Control will create a safe and smooth drive through the dunes, though the NissanConnect seven-inch infotainment system – including satellite navigation – will have to remain switched off under the strict rules. In common with all Nissan LCVs, including the e-NV200 zero-emission electric van, the Navara is an exceptionally versatile vehicle. A wide range of optional extras, accessories and bespoke conversions are available. All Nissan LCVs come with a class leading five-year / 160,000 km manufacturer warranty. 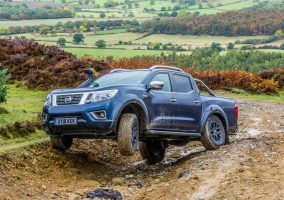 The Navara is the latest in a long and highly successful line of rugged Nissan pickups stretching back more than 80 years and 12 generations. Globally Nissan has sold more than 14 million pickups since 1934. 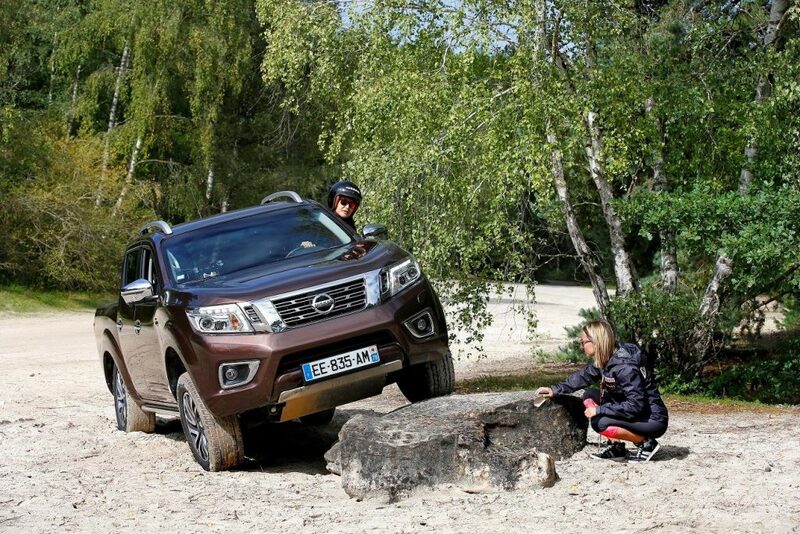 The Navara is not sold in North America, where Nissan’s three-strong pickup range is the Frontier, Titan and Titan XD. Nissan France employees Karen Rayrolles and Florence Pham who are taking part in the Rebelle Rally.